Our Pre-Physical Therapy Program provides relevant coursework to help undergraduate students prepare for a career in physical therapy and acceptance into graduate training. Score on the Graduate Record Exam (GRE). Courses taken and grades in those courses; the higher the GPA the better, with a minimum of 3.0 on a 4.0 scale. Showing interest in Physical Therapy through volunteer or work experience in hospitals or similar situations where Physical Therapists are needed. Note: MUSC requires a minimum of 100 volunteer hours.  NOTE: Completion of the Newberry College Core Curriculum will satisfy additional admission requirements at MUSC.